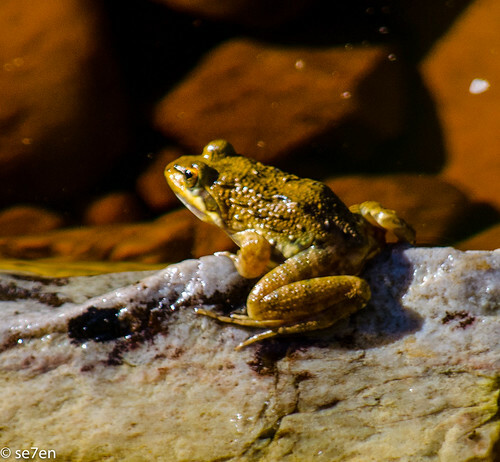 It just so happens that, even though we experienced a severe drought this past summer, almost every hike we have been on takes us past a damp patch of ground and the song of frogs runs loud and clear. 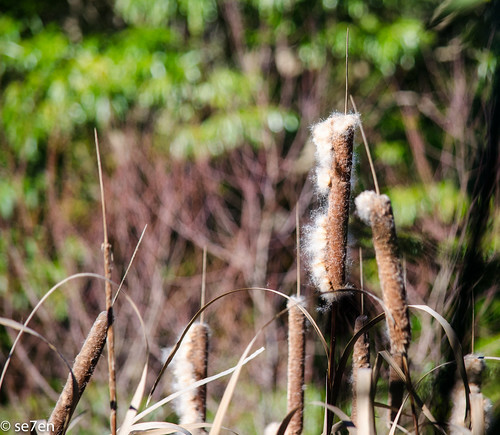 They may make a lot of noise but they can be really are hard to spot, let alone capture on camera. 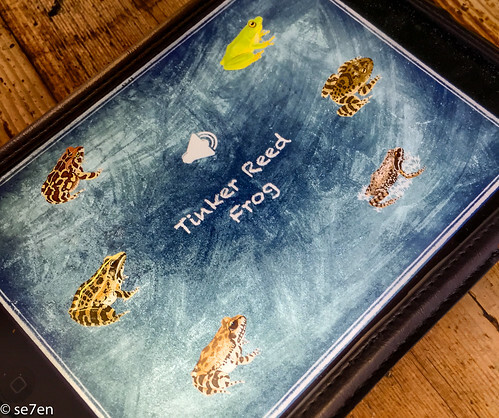 It just so happens that as our interest was peaked and we were curious to know which frog was behind the noises emitting from our surrounding waterways, when we were sent an app to review and share with our readers. 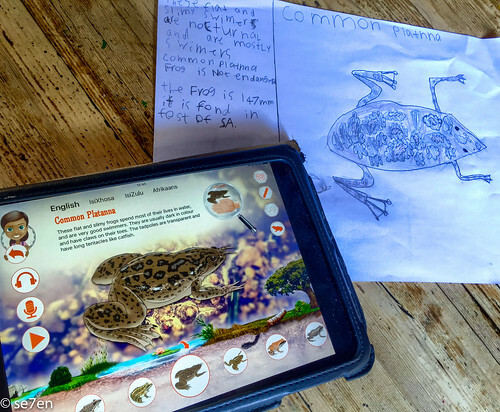 Sure enough “there is an app for that,” The Young Explorer Frog App. All the information is in four languages: English, isiXhosa, isiZulu and Afrikaans. The app can read back to you, so it is perfect for the beginner reader to read along with, and great for the child learning another language as they can hear the correct pronunciation. On the right hand side is a key of information… in a format that even a non-reader can quickly grasp… a distribution map, the size of the eggs and where you find them, the size of the frog and their endangered status. 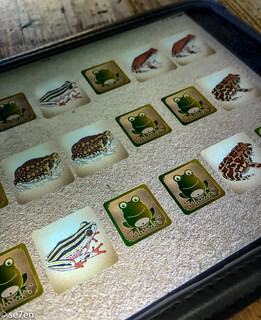 Along the bottom of the screen, the user can scroll to and fro and choose the next frog that they are in interested in. 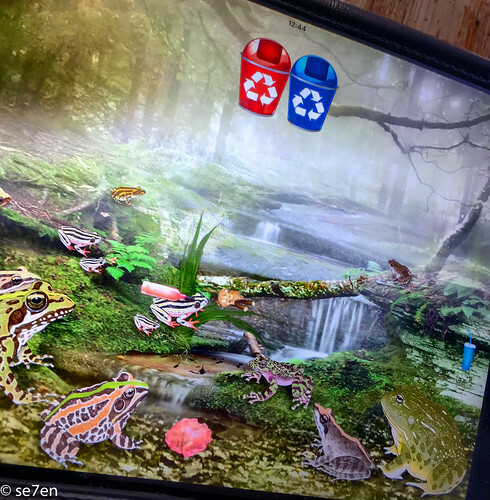 And on the left hand side of the screen are various media: There is a video to watch for each frog, you can create your own story and listen to it. And you can hear the specific call of that frog. We then went on to look at the games section of the app. 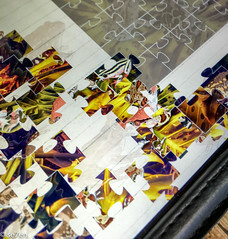 There are four games, a fairly easy game of pairs and a variety of level of puzzles to try. And finally, the identification game, this is great and tricky for players of all age groups. The player has to identify the frog from its call and appearance, again and again and again. 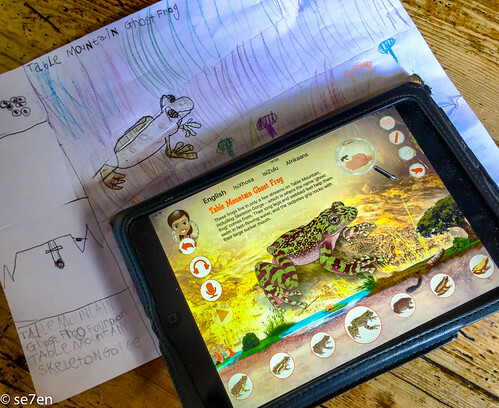 This is a really fun way to learn, before I played with this app I honestly had no idea which frog was which… but just having a quick explore around the app and suddenly I know quite a few and the kids know dozens, oh to have a young brain! This is a fun way to learn, that just doesn’t feel like learning at all. Not to mention, this is definitely our go to guide when we want to quickly identify a frog we are looking at. 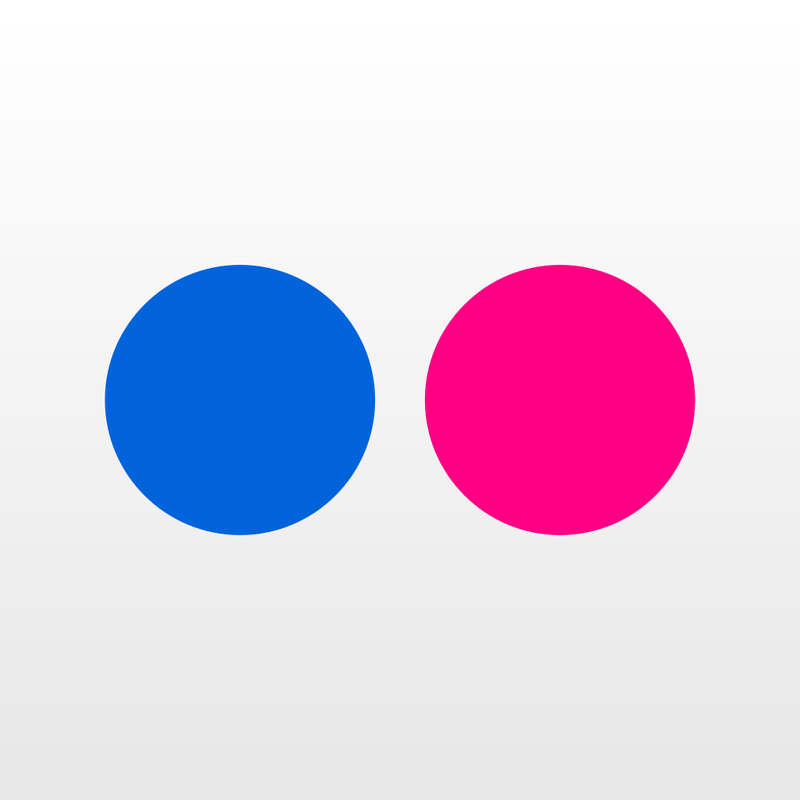 We had a great time playing with this app, and I think my kids will be playing with it again and again. 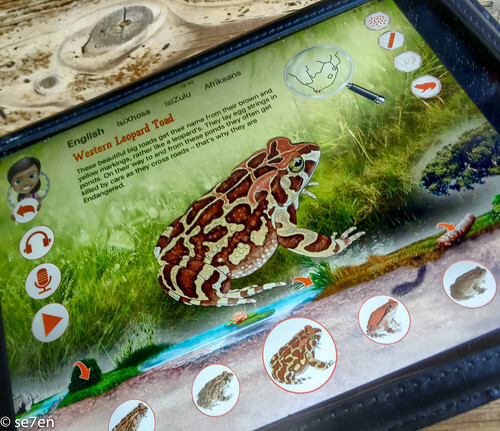 You can read more about the Frog App and the Mammals App on the Young Explorers App site. 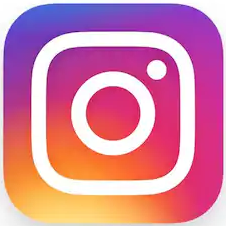 This is not a sponsored post, we were not paid to write it, however we were given a copy of the app for review purposes by Sasol Young Explorers and Penguin Random House South Africa and Struik Nature. This app sounds fabulous! I know my boys would love this (one of them especially). The springs and summer nights around here are so loud with frogs you can hardly hear yourself think! It is so brilliant Christi, to discover things in our own context… for years all our nature study books were only UK or US based, beautiful but not perfectly relevant to our neighbourhood. 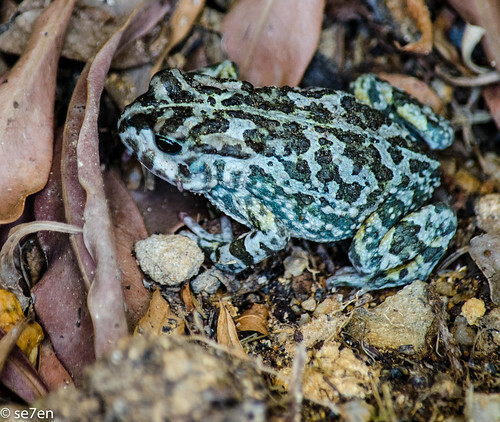 A lion is a lion wherever you are, but if we are on our mountain and trying to identify a frog then it is very useful to have the local frogs to choose from. 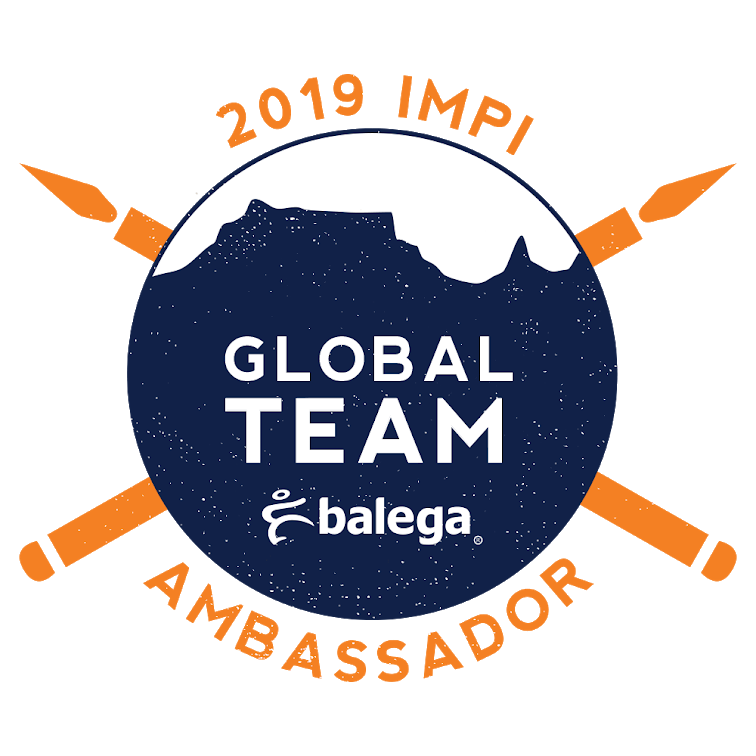 It is so fabulous that South African publishers are coming to the party slowly but surely… and there products are really right up there, just as good as overseas products… the relevance makes them winners for us. Thanks for stopping by!! !